A helicopter pilot took a sharp turn to avoid a plane colliding with him over Caithness, an official probe has heard. The chopper’s collision alarm system flagged up a warning near Wick. 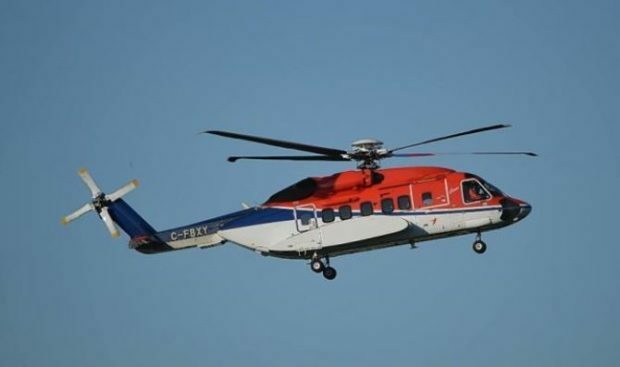 The incident happened on April 9 between a Sikorsky S92 chopper and a Jetsteam 41 (J41) bound for Aberdeen. The helicopter pilot said that the incident occurred at 4000ft and approximately eight nautical miles (nm) south of Wick. The chopper crew were aware that an aircraft was departing Wick and climbing through their level en-route to Aberdeen. “The avoiding action was initiated by the handling pilot (captain) in response to the Traffic Alert and Collision Avoidance System (TCAS) indication on his display of the threat aircraft climbing through their level in close proximity,” said a report by the UK Airprox Board, which investigates near misses. But the Jetstream pilot disagreed and said there had been no risk. Several Board members wondered whether it had been appropriate to allow the JS41 to depart before ensuring that its pilot could at least see the S92, especially because the previous weather observation had reported broken cloud at 700ft. “The board could understand why the S92 pilot had been concerned about the JS41 which was catching him up, albeit at only 35kt overtake; he could not see the JS41 because of its position behind his helicopter,” said the report. “Notwithstanding, it was clear that the non-handling pilot had reported that he could see the JS41 on TCAS (initially 3nm behind them, 300ft below) and members wondered whether the nonhandling pilot should have been more pro-active in providing information to the handling pilot. “Had he done so, then it would have been evident that the JS41 had climbed through their level at about 2.6nm behind and was therefore no longer a threat. “Seemingly without this information, the handling pilot decided to make a 40 degree turn to the right and some members wondered how effective the S92 crosscockpit information flow had been. “Turning to the cause, the board agreed that, because of his action in making an avoiding action turn it was apparent that the S92 pilot was concerned by the proximity of the JS41 and that this was why he had filed the Airprox report. Some members wondered whether the incident was best described as a TCAS sighting report but it was agreed that this did not reflect the clear concern in the S92 pilot’s mind.